For nearly a century, prominent Americans have matched skills on our fairways. Our three 18-hole championship courses, The Old White, The Greenbrier and The Meadows, are more than enough reason to lure golf aficionados to White Sulphur Springs. The spacious, well-groomed practice range immediately adjacent to the Golf Clubhouse offers realistic target greens, as well as a large putting/chipping area. Golfers who have played at The Greenbrier include Arnold Palmer, Jack Nicklaus, Ben Hogan, President Dwight D. Eisenhower, Nick Faldo and Tom Watson, to name a few. Each course begins and ends at The Golf Club and offers unique challenges and breathtaking views of the surrounding Allegheny Mountains. Tom Watson, winner of 39 events on the PGA TOUR and current player on the Champions Tour, is the golf professional emeritus for The Greenbrier, a position previously held by the legendary Sam Snead. Among Watson's major victories are two Masters Tournaments, the 1982 U.S. Open and a remarkable five at the British Open (1975, 1977, 1980, 1982 and 1983). He won the 2001 Senior PGA Championship and the 2003 and 2007 Senior British Open. Please call 304-536-7862 for current rates. Call 304-536-7862 for rates and tee times. Contact The Greenbrier - Olde White TPC at 304-536-7862 for more information and details on holding a golf outing at the course. When you choose The Greenbrier to host your wedding, you are not just hosting your wedding at America's Resort; you are becoming a part of America's history! The Greenbrier is a National Historic Landmark that has exuded traditional southern charm and warm hospitality since 1778. Whether you envision an intimate exchange of vows surrounded by the Alleghany Mountains, or dancing the night away in a timeless ballroom, The Greenbrier will create a weekend where "experiences are timeless and memories last forever." 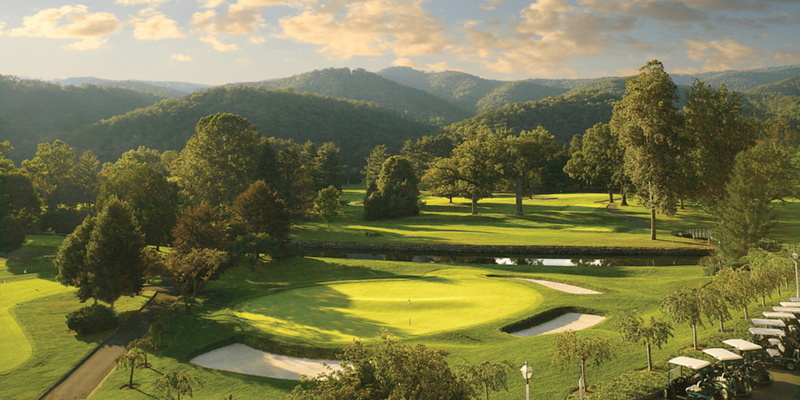 Contact The Greenbrier - Olde White TPC at 304-536-7862. Contact The Greenbrier - Olde White TPC at 304-536-7862 for onsite or nearby dining options. This profile was last updated on 12/30/2018 and has been viewed 13,037 times.